WA has some of the most spectacular places to visit in the world, and I am sure that those who have travelled extensively would agree. Before visiting Karijini, I had read the hundreds of positive reviews online, and a number of people had said it is the best national park in Australia. I have to say, I was blown away by the whole national park, and can’t recommend it enough for those who want to get a taste of what the Pilbara has to offer. The gorges and hiking around the national park are truly magnificent, and almost impossible to explain. I’ll let my photographs do some of the speaking, and these are straight from the camera, with no editing. The Pilbara is a massive area in northern WA which is very well known for masses of red dirt, huge deposits of minerals and harsh weather. 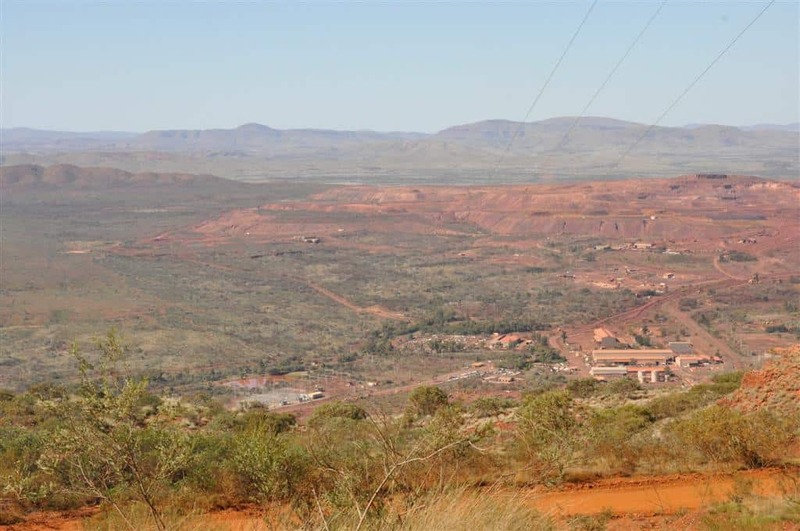 To give you an idea, the Pilbara alone is about four times the size of Tasmania! You can drive for hundreds of kilometres on both gravel and bitumen, and feel like you haven’t seen anything. 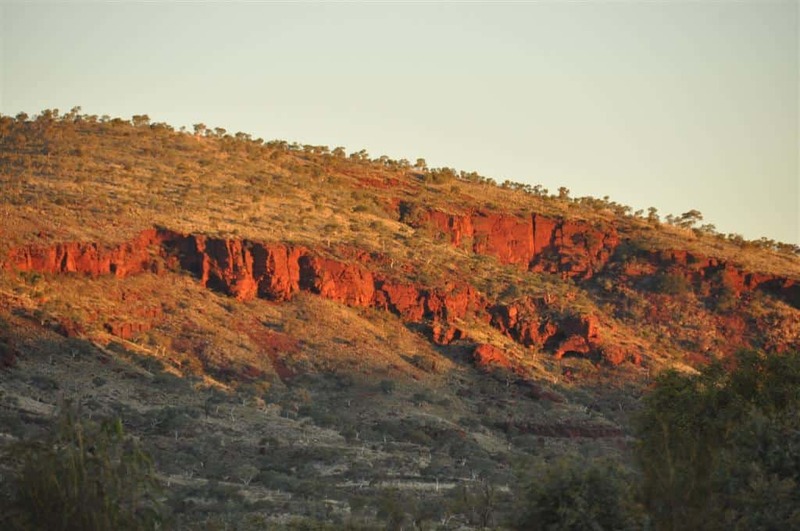 Inside the Pilbara are a number of national parks, home to some of the most incredible landscapes you will ever see. One of these is Karijini, which is truly stunning. 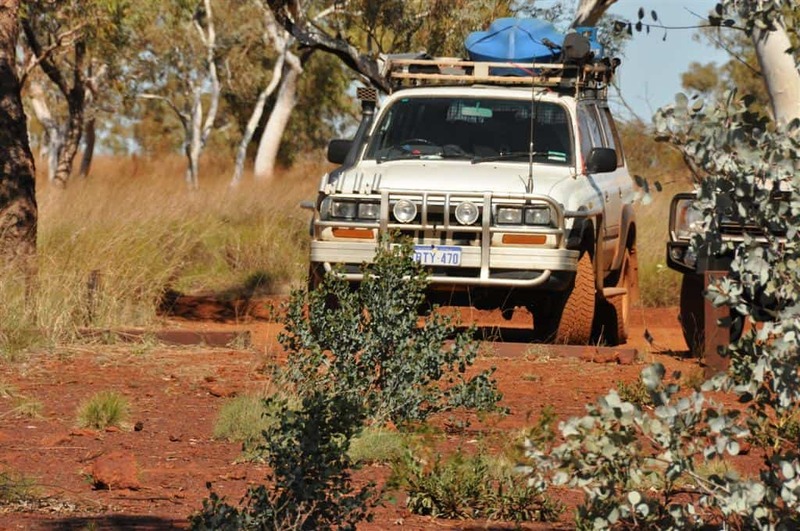 If you are looking for an amazing 4WD only camp site not far from Newman, check out Kalgan’s Pool. 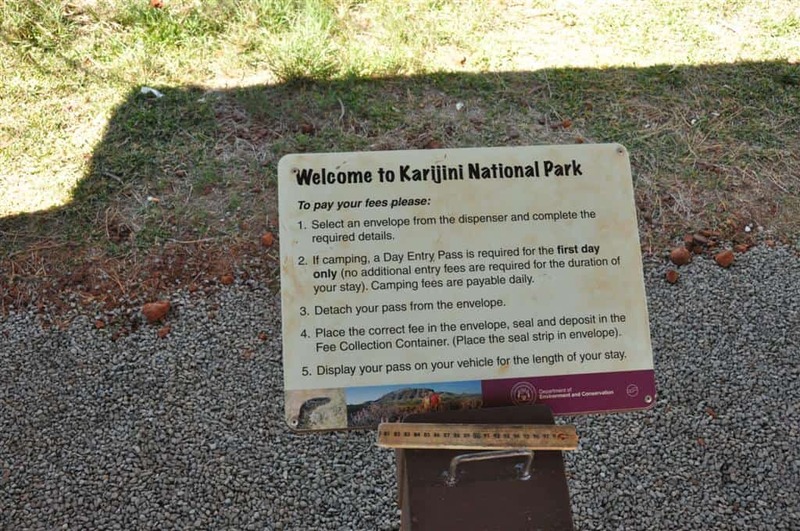 Where is Karijini National Park? Karijini National Park is located around 1500km north of Perth, in between Newman and Tom Price. It is 250km away from Millstream National Park and some 350km away from the coast. You can find it on the map here. Make sure your vehicle is reliable! 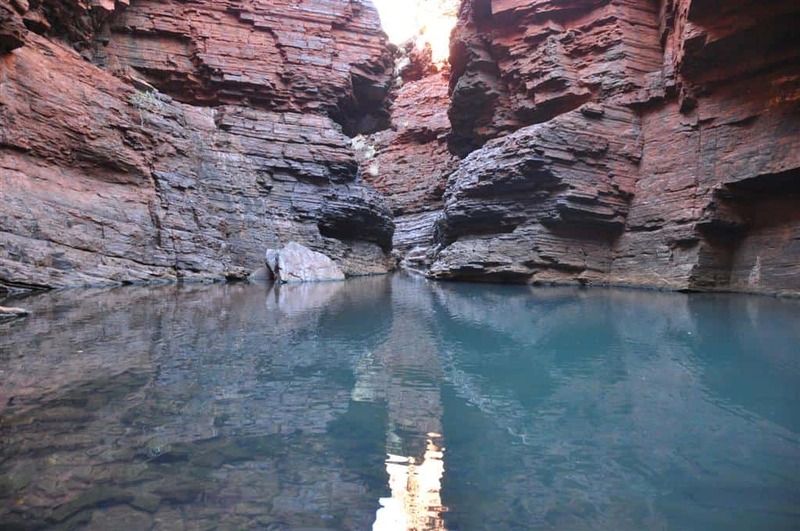 Why is Karijini National Park so popular? The Pilbara is a harsh environment. It can be barren in places, with nothing but giant red rock for hundreds of kilometres on end. 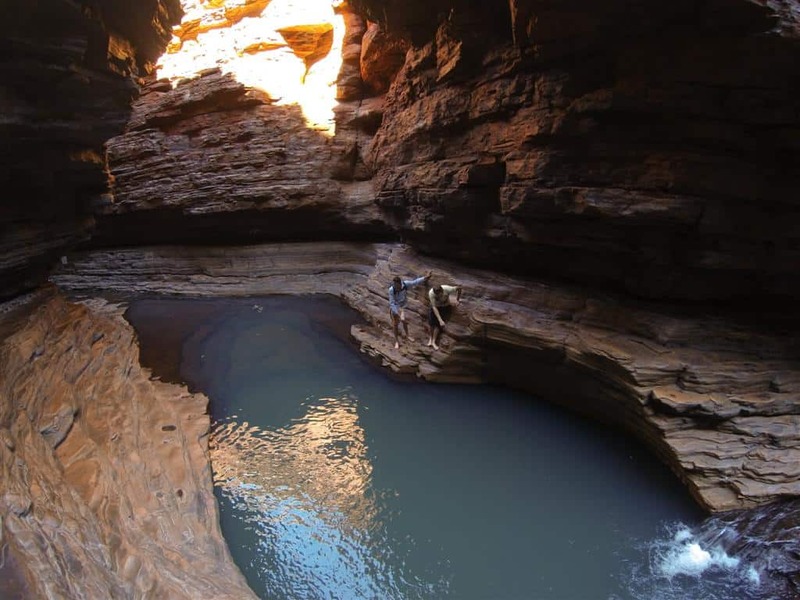 However, perched within this huge landscape is Karijini National Park, which is full of gorges with stunning pools, waterfalls and incredible photography and swimming opportunities. 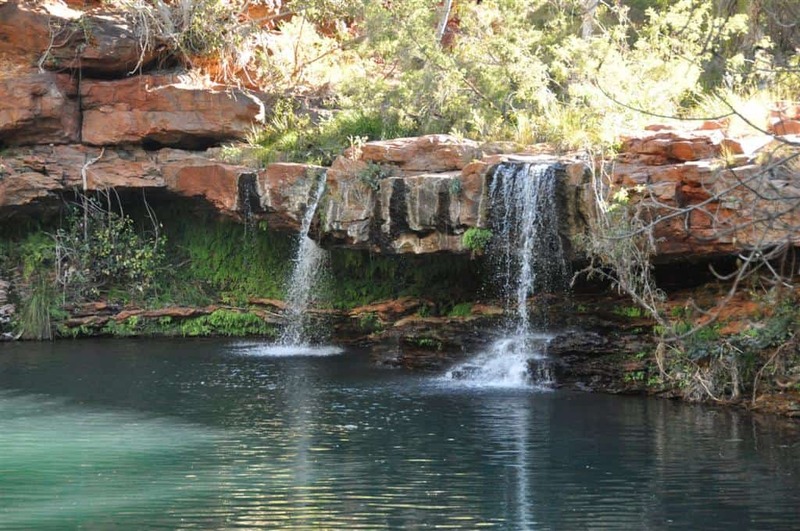 Karijini is high up in the list of 30 unbelievable camp sites in WA. The only way into the National Park is by vehicle, but you can fly the majority of the way up if you choose. You can fly into Exmouth, Newman, Karratha and Port Hedland. From there, you can either hire a car, or jump on a tour. It is a decent hike from Perth, but can be done in two days if you are prepared to drive for most of the days. We left at 3AM and were set up camp near Newman by 4PM. The next day, we only had a few hundred kilometres to go, and we were in Karijini. $22 per vehicle per year for local residents. Do I need a 4WD to visit Karijini? 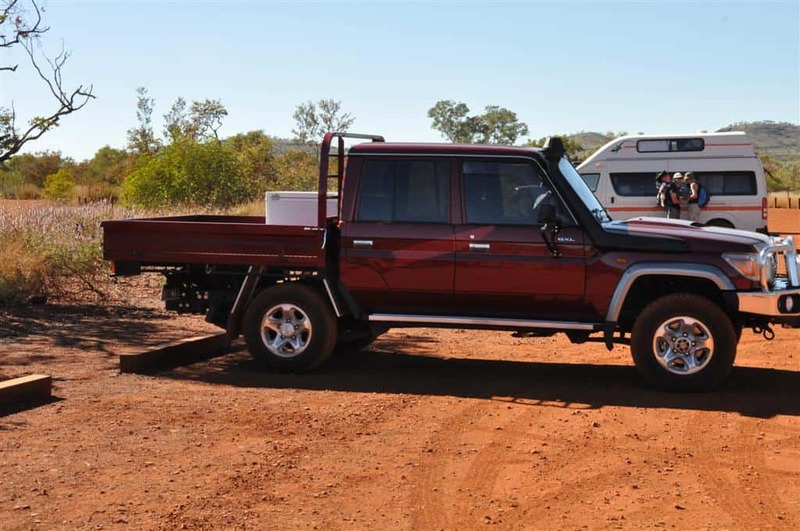 When I was at Karijini, I saw 5 European tourists crammed into a bunky Kia with rear suspension sitting on the bump stops from piling more gear than you could fit into my Land Cruiser in the rear. Whilst I am not saying this is a very good idea, there are plenty of 2WD vehicles that visit Karijini. Obviously, you have to drive to the conditions. 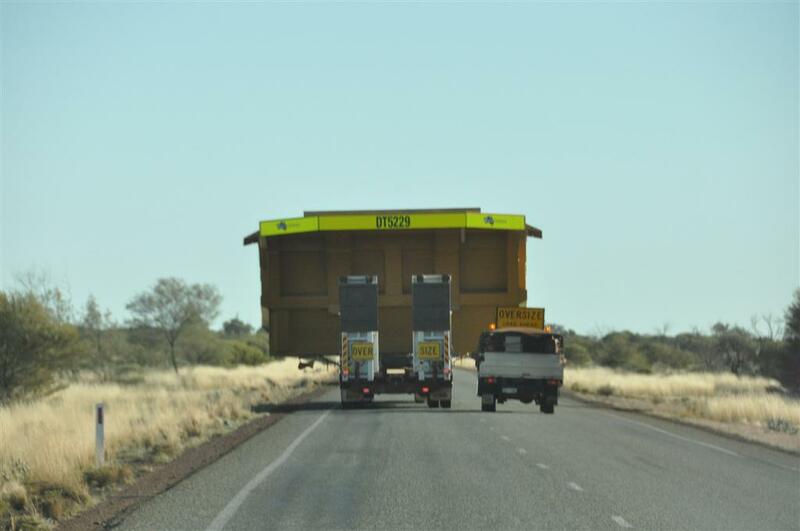 If the roads are rough, you won’t be able to safely drive as quickly as a 4WD, and expec t the corrugations to shake everything inside your car to pieces! 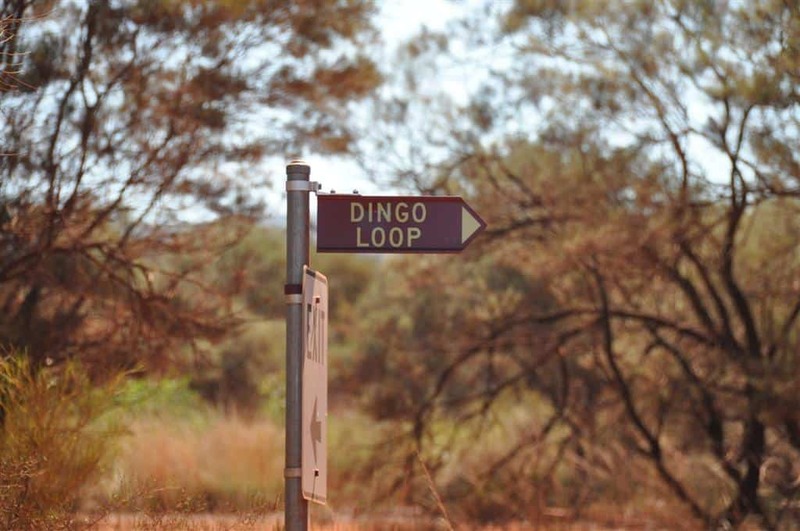 If you are visiting Karijini, make sure you take the time to stop at the Visitors center. It has all of the information that you need to safely explore the area, and have a great time whilst doing it. It also sells memorabilia, cold drinks and ice creams! 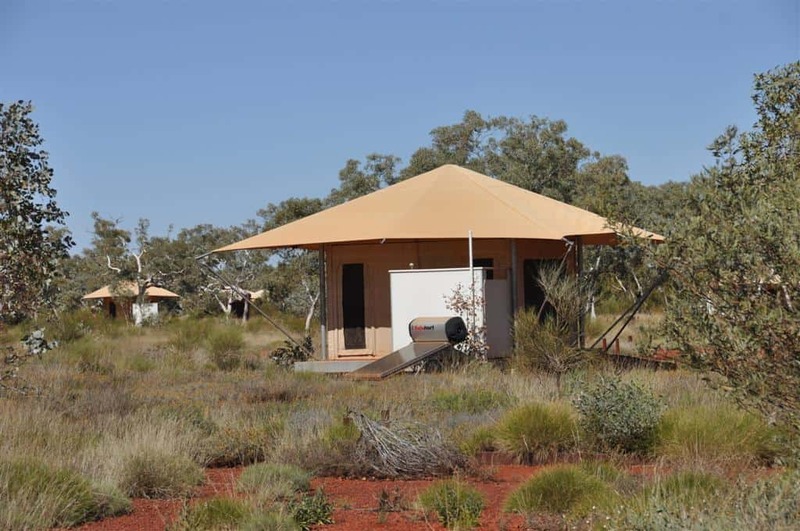 Being so remote, the options for accommodation at Karijini are limited. You do have the option of coming into the national park on a day trip, but to fully enjoy the national park I’d suggest staying there. In terms of accommodation, you can either camp, or stay at the Eco Villa Resort. 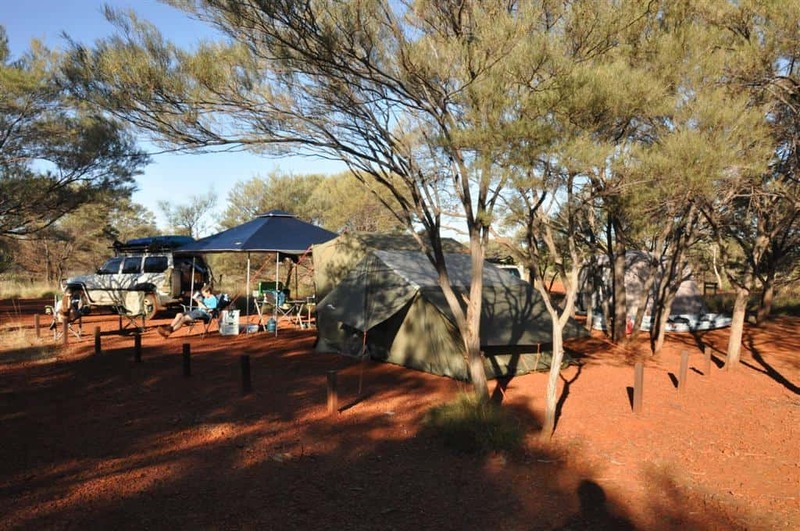 Dales Campground is a DEC Campsite in the middle of Karijini National Park. It is set up to accommodate a lot of people, with campsites that vary in size available for differing set ups. It costs $10 per night to stay here, but the facilities are good. It is clean and there are plenty of toilets and a reasonable amount of shade in most sites. Showers are not available, but you can drive 10 minutes down the road to the information center, where you can have a hot shower for $1. You can find out more about the campsite here. If you want something more comfortable the Eco Villa Resort is a step up in comfort. The accommodation is in ‘permanent’ tents, which have solar hot water and utilize shared toilet blocks. There is a restaurant, bar, kiosk and a public payphone. These are reasonably expensive, and from what I have heard they aren’t very good value, for what you get. However, look the reviews up yourself! 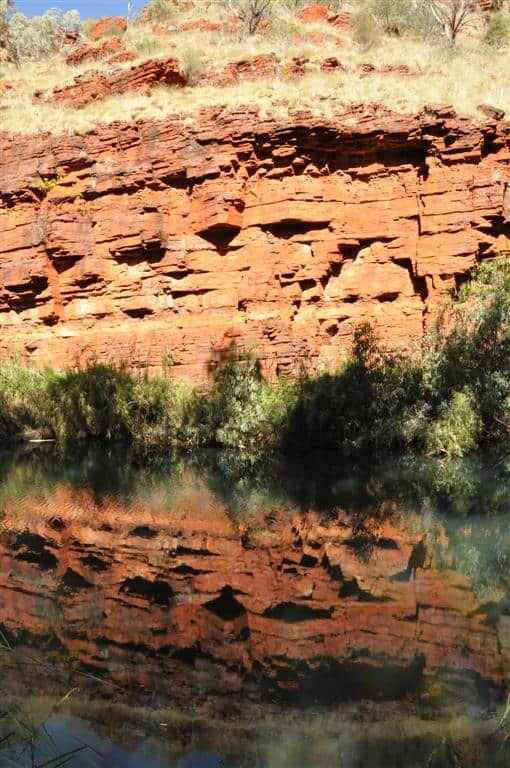 How long do I need to go to Karijini for? There is no minimum stay at Karijini, but I would suggest at least 3 nights. If you have children or find it hard to hike then you will most definitely need longer. A lot of people come for the day (especially those who have a day off on one of the mine sites) but make no mistake, it is a decent drive! How much of this can you bear? Karijini has a huge number of gorges, with varying levels of difficulty to hike, different water features and always a stunning landscape or 2! The more popular gorges are Dales, Joffre, Knox, Hancock, Weano, Kalamina and Hamersly. 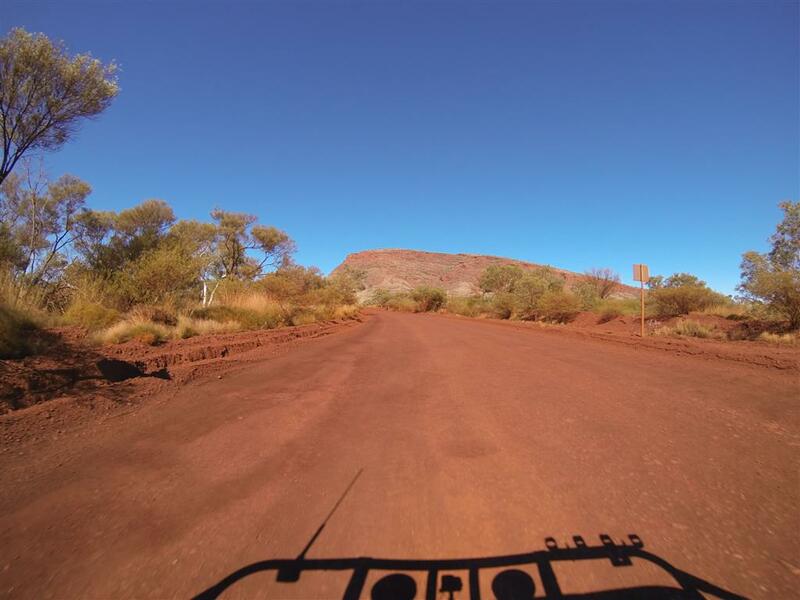 The roads throughout Karijini National Park are mainly gravel, and are maintained quite frequently. However, they can be terrible if heavy traffic has been frequent and they haven’t been graded in a while. As always, drive to the conditions and take care on gravel roads! I was very happy to see all sorts of people hiking in and out of the gorges at Karijini. There were those that certainly weren’t fit, and even elderly people with hiking sticks giving it a go. Work within what you are comfortable with, but there is no reason why you can’t do several of the hiking trips at Karijini. Just adjust your speed to suit, and take plenty of water. 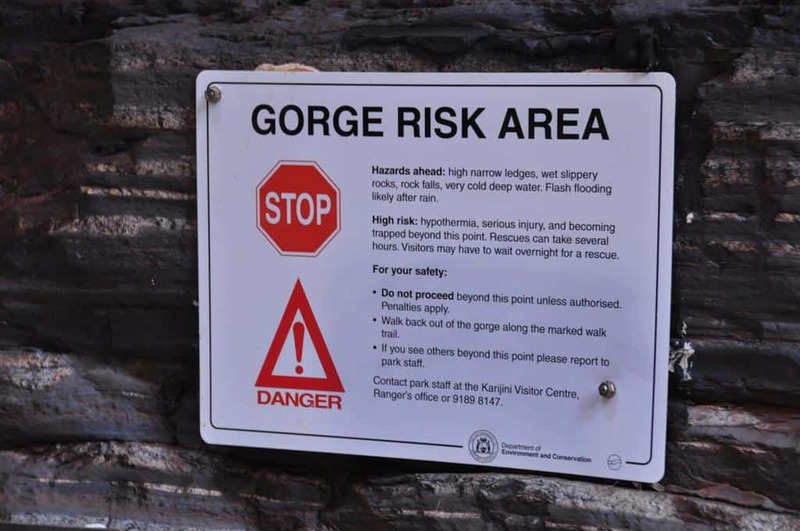 The DEC has plenty of great information on the different gorges, and they are all given a different rating for trail grades. Class 2 are well marked with hard surfaces and require no experience. From there, it works all the way up to Class 5 (trails through mainly undisturbed natural environments, with rough terrain, requiring a high level of fitness, self reliance and advanced outdoor knowledge). To be honest, for someone who is fit we didn’t find the higher classes any more tiring, but they certainly were more challenging to get through. In some places, we were wading through hip deep water (which is freezing! ), climbing out on slippery rocks for a few meters only to go back into the water a few minutes later. My suggestion is to take a pair of shoes that have good grip, and that you don’t mind getting wet. Booties and other water suited shoes are well worth their money. I had to keep taking my basketball shoes off every time we got to water, because they were the only shoes I had for the whole trip, and didn’t want to ruin them! Walk to a pace that you are comfortable with. There is no need to rush; enjoy the scenery and take it slow! The Pilbara is no small place! The weather at Karijini is very different to Perth. The majority of rain comes from September to May, and the temperatures are highest then too. Heavy rain is very common, and the gorges fill up faster than you could ever hope to run out of them. It is very important to pay attention to what the weather is doing. 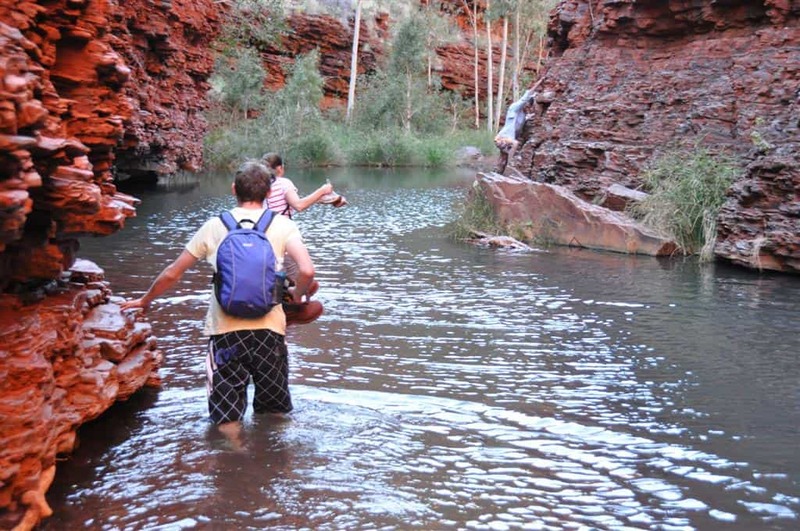 The best time to visit Karijini is in between May and September. This is when the weather is cooler, and there is less chance of rain. Plenty of people still visit outside these months, but the weather can be seriously hot (35 – 45 degrees) and rain is plentiful. The national park will be closed when the weather is bad, mainly so people stay safe, and don’t get stranded where they shouldn’t be. After visiting Karijini, I am not surprised that safety is something that people make a big deal about. Karijini is seriously remote, and if you get hurt you aren’t going to get help quickly. It is also a very harsh environment, which can quickly take its toll on your body. There have been a number of deaths and serious injuries at Karijini, so take care when you are there. As far as I know, you have covered both options without covering gravel roads. We are planning to drive from Karijini to Millstream National Park when we leave. I’ve read a few blogs of people who have done that trek in one day with some stops but I have not found a reliable approximation for driving time. Google Maps says 7.5 hours but I’m unsure if that is correct for only about 260 kms of driving. Any help? Anyone driving from Perth to KNP with a 4×4 in a near future? I’d love to join! Iga: Im going next week for two weeks!